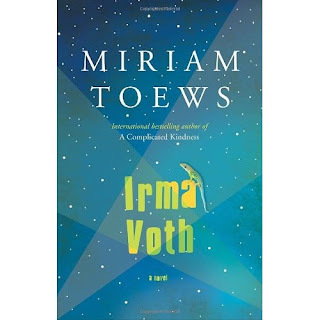 I'd read several great reviews of Irma Voth even before I cracked the book open. I was immediately intrigued by the fact that the story was set in a Mennonite colony in the Chihuahua region of Mexico. The story's namesake is the second eldest daughter who speaks Spanish well enough to communicate with local Mexicans and break out of her isolation. The Voth family has moved from Manitoba to Mexico for reasons that are only disclosed towards the end of the book. Nineteen-year-old Irma has already disappointed her family by secretly marrying Jorge, who has been lured by the easy gain of the cross-border drug trade. Irma's father is very strict and begrudgingly allows Irma and Jorge to use one of his homes in exchange for extensive farm work. Jorge leaves Irma at the beginning of the book only to return very briefly. Irma has little contact with her family because she has been shunned. But her 13-year-old sister, Aggie, gravitates towards the action, which is at Irma's side, particularly after an eccentric director and movie crew come into the community to shoot a film. The presence of the outside world in the small Mennonite colony creates some waves, and Irma's father decides that the unwanted influence must leave. Irma's father lays a severe beating on wayward Aggie. Then Irma decides to leave and takes Aggie with her. In a strange twist, when the two daughters say good-bye to their mother, she gives them her newborn to take along with them, upping the story's stakes considerably. Irma sells Jorge's stash of drugs, and with the little money she receives, she buys tickets to fly to Mexico City for possibly the most heartrending part of the book. Toews' writing is so smooth that at times the story loses its momentum, but it's not for a lack of action.The first-person limited narrative rambles a little but accurately reflects the thinking of a sheltered 19-year-old trying to make sense of the world around her. Irma's thinking and actions create a smooth rolling narrative that belies her harsh existence and the severity of her father. As the story evolves, Irma matures and is finally able to see what her father is and why her mother has entrusted her with her baby sister. The vulnerability of the girls alone in Mexico City adds plenty of tension to the story, but it's the consistency of the voice that makes Irma Voth a moving and chilling read. There are a few great unexpected twists in this book that make it well worth its purchase price. You might want to add it to your summer reading if only for the satisfaction of discovering that the churchy in this book are not as righteous as they let on to be. 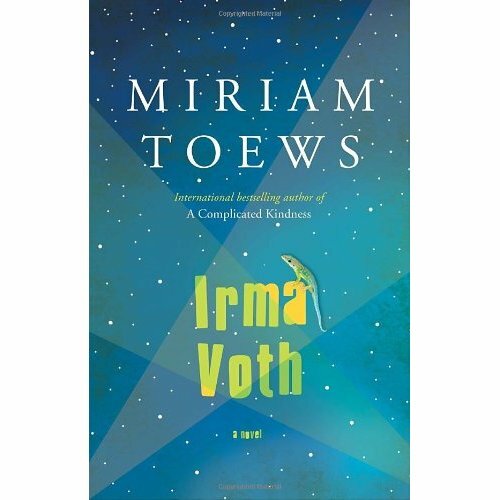 : Review: Irma Voth by Miriam ToewsTweet this! Thanks for the review....I really enjoyed The Flying Troutmans & I'm totally going to check this out. I'm not very techincal but I can figure things out pretty quick. I'm thinking about creating my own but I'm not sure where to begin. Do you have any ideas or suggestions? Appreciate it Check out my website to get more info about work from home, if you like.